Geography: South East, Berkshire. The eastern part of Reading and three wards from the Wokingham council area, covering the town of Woodley. Main population centres: Reading, Woodley. Profile: Reading is a commercial centre and commuter town in the Thames Valley in Berkshire. It is an affluent town, home to light, hi tech and service industry and houses many corporate headquarters including Microsoft, Oracle, British Gas and Prudential. Reading East is the more urban of the two Reading seats, taking in the town centre and the eastern and northern suburbs. The seat contains the majority of the University of Reading, which straddles the constituency border, but more importantly the majority of the students. Politics: Reading East was a Conservative seat lost to Labour in the 1997 landslide. The Labour MP, Jane Griffiths, was acrimoniously deselected prior to the 2005 election following a long standing disagreement with the neighbouring MP, Martin Salter, and infighting within the local Labour party. The new Labour candidate Tony Page was defeated by Conservative Rob Wilson, who has held the seat since then. ROB WILSON (Conservative) Born 1965, Oxfordshire. Educated at Reading University. Reading councillor 1992-96, 2003-06. First elected as MP for Reading East in 2005. Opposition Whip 2009-10, PPS to Jeremy Hunt 2010-2013, PPS to George Osborne 2013-2014. Minister for Civil Society since 2014. Former member of the SDP. Was successfully sued for libel by his Labour opponent, sitting MP Martin Salter, in 2005. ROB WILSON (Conservative) See above. MATT RODDA (Labour) Project manager and former journalist. Reading councillor since 2011. Contested East Surrey 2010. JENNY WOODS (Liberal Democrat) Educated at Oxford University. University programme leader. ROB WHITE (Green) Born 1979. Reading councillor since 2010. The local eclection resulots suggest that Labour may have a better chance here than in many seats with a smaller Tory majority. Reading is now commuterland that suits Labour comparatively well now that they have deserted their working class grassroots, or seem to have done so to many voters who are now UKIP inclined…. Surely commuter towns favour the Tories better than Labour. But there is a university in Reading so there’s likely to be Labour support from students and employees of said uni. Plus the BME vote is sizeable. Remember, Reading itself isn’t the problem for us. Considering we got 36% of the vote across Reading in the locals, compared to 27% for the Conservatives, and a whole 13% for the Greens to draw on at a general, a seat that encompassed Reading would surely be a Labour seat of at least semi-marginal status. What does it for the two Reading seats is that West is half made up of West Berkshire – some very Tory areas there. And East has Woodley to help supplement Caversham, the town’s Tory heartland. Sorry, I meant the Conservatives got 24%. to clarify, Caversham is a generic term for Reading north of the Thames really (which was in Oxfordshire in the dim & distant past). Caversham ward itself voted Labour on Thursday but the neighbouring wards voted Conservative. Yes, should have clarified that. Thanks BM. Since the Tories were ahead of Labour by 754 votes in 2008 (and 559 in 2012), I think we can safely say Labour would certainly have carried Reading East this year even though we don’t know how the ward would have voted. Quite a spectacular result for Labour given they were 18% behind at the 2010 general election. Yes these are very good results. Probably Labour’s best in a contest against the Conservatives outside London, possibly anywhere. Solid result for Labour indeed. They can also take some comfort from the fact that they topped the Euro polls in Reading bucking the regional trend towards UKIP. I knew they’d come first in the Euros in Oxford, Slough and Brighton & Hove but this one slipped my mind. Sort of expected them to top Hastings over UKIP. Their local election results have been encouraging here since the last general election. No doubt that they’ll overtake the Lib Dems, but their challenge is a pretty large swing and the Wokingham wards where they have only one councillor in a split ward. Still predict a Tory hold but Labour should be able to narrow the majority. Not quite sure how we have different figures, Andy. Maybe it’s because I averaged the results of the normal Park ward election, and its concurrent by-election, into one set of figures. Regardless, quite clearly Labour still won this constituency. As you can all see, it wasn’t home-turf pride that I was beefing up our chances here. The 2012 results showed as much as they do now – an eviscerated Lib Dem vote, largely benefiting us, and still a good near 15% of the vote for the Greens for us to try and soak up for the general, especially considering the Green vote is concentrated in the student heartland of Park. Just realised UKIP came third in Reading for the Euros. Does anyone know which other local authorities UKIP came third in across the South-East constituency? The City of Brighton and Hove for one. They would have done badly in Oxford as well. Not in the SE, but they came 5th in Cambridge, surely the only area in England (bar London) and possibly Wales that this is the case. And this list is for the Euros as opposed to the locals, Iain? All these areas had local elections and this pulled out more people and the other parties ran proper campaigns. In my area all we saw were the free posts and some of those arrived after I had cast my postal vote. This gave UKIP and their more elderly voters an edge. But for London local elections Labour could have been third in the Euro elections. Reading’s good result for Labour and bad result for UKIP in the local elections suggests to me that this is an area which has given up its local identity to become a marginal area within the London behemoth. In this context, it is interesting to note that Labour now has a former Westminster candidate for this seat (in 2005) as its MEP. Given the outrageous and huge size of the South-Eastern European constituency, one may ask how far Annaliese Dodds will represent some of the tradional working-class parts of the South-East, which are all too often neglected corners of a generally rich region. Good intentions are one thing, actuality in an unmanageable constitutency is another. I am thinking in particular of parts of Kent such as Sheppey and Dover, which seem to have been more or less written off as Labour prospects..
Labour’s Dover candidate is from the area, I think. Doesn’t mean she’s going to win it though. Anneliese Dodds might have been an OK match for Reading East had she, by some wild logic, won in 2010. But anywhere more working class like Crawley or most of the north Kent seats would have been ill matched. FS, your complaints against the Euro constituencies are well-known, but I struggle to understand what you believe the alternative is. There’s no way we’re going to be returning to FPTP for Euro elections, as for one thing we’re settled into the relevant EU rules now, and PR constituencies are inevitably going to be large, both in population and in size. 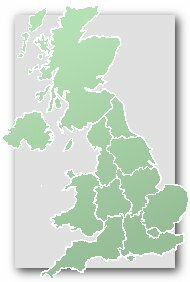 To be honest, even if we went back to FPTP, the rise in the UK’s population since the 90s, and the diminishment of the number of parliamentary seats we hold, means the FPTP constituencies would be even larger than those last elected in 1994, and I doubt MEPs would be able to adequately cover them. Fact is, with a population of some 500 million and an already large legislature, EU constituencies will be very large and very diverse, as they are in the United States and elsewhere. Quite how you expect to overcome this obvious barrier, I’m not sure. I think you just have to accept that being an MEP requires a very different kind of campaigning than required for an MP. Oh, forgot to mention here that Labour won its first election to Wokingham Borough Council in 12 years, winning in a Woodley ward called Bulmershe & Whitegates, which comes under Reading East. Yes I noticed they had scored in Wokingham – thanks for details. Van Fleet, I agree we won’t be returning to FPTP for European Elections, whatever one thinks of FPTP. Therefore, for the European Elections we should have STV voting for individual candidates in reasonably sized constituencies. In the South-East, this is comparatively simple: the constituency should be split into eiher two or three equal parts. We might also consider going full-hog for an American style system with direct voting (using STV) for a President of the Commision. In such an election it would be AV (Alternative Vote) not STV (Single Transferable Vote) which is only used in multi member constituency elections. Either is better than the stupid SV (Supplementary Vote) system currently used for those mayoral elections that do exist in England. To be honest I’d prefer a single national list vote for England in the Euro elections. This would produce a more proportional outcome than the national distribution of seats based on the curent regional constituencies has. A single national list would be better than the current gerrymander of constituencies grossly differing in size. But I am on principle implacably opposed to any system that entails voting for parties rather than individual candidates. Thanks for correcting me on my STV/AV slip. LD candidate: Dr Jenny Woods. Interesting by-election ahead here. The independent councillor for Bulmershe and Whitegates, in Woodley, has announced she will step down after being convicted of benefit fraud. Interesting because it’s a three-way ward – one Conservative councillor, elected in 2011; one Labour, elected in May (Labour’s first victory here for 12 years); and this independent was elected as a Lib Dem in 2012. 2014: Lab, 34.3%; Con, 26.9%; LD, 17.7%; UKIP, 15.0%; Greens, 6.1%. 2012: LD, 37.1%; Lab, 28.5%; Con, 25.1%; UKIP, 5.2%; Greens, 4.0%. 2011: Con, 36.5%; LD, 33.2%; Lab, 20.9%; UKIP, 5.6%; Greens, 3.8%. 2010: LD, 38.1%; Con, 35.3%; Lab, 19.2%; UKIP, 4.7%; Greens, 2.8%. You can see why I think this will be an interesting by-election. I might well work in it. Perhaps my cousin the local Rabbi will be working for the Tories. He lives in Reading West though. You would be very welcome here, Barnaby! We’re a good bunch here, if I may say so myself, and I confess I find the thought I may run into you to be quite surreal, having interacted with you virtually all these months. I’m not sure if it’s still the case, but when I was at Reading Uni in the early 70s Bulmershe was the site of the teacher training college. If it’s still there, it could explain unusual results in this ward. It wouldn’t quite be the first time I’d have met in person someone I previously knew only from UK Polling Report. However, the person concerned is in fact Toby Perkins MP who was a very regular contributor here up to his election to parliament, and who still contributes from time to time. I have met Joe James B quite recently, but I had met him before since we are politically active in the same borough. It was quite difficult to converse since he is well over a foot taller than me & it was quite a noisy hall because of the election count taking place. I do know one or 2 other people who have very occasionally contributed here, through the Labour Party. I noticed you conversing (well, arguing) with a friend of mine on Facebook earlier, Barnaby. Small world I suppose. MOG, it merged with Reading University back in 1989, but the resultant campus closed in 2012. I think Labour’s win here can be ascribed to a number of factors; firstly, good old campaigning, where a Reading Labour Party which had long considered Woodley unwinnable finally put in resources; secondly, not just the tarnishing of the Lib Dem brand but also the implosion of the Lib Dem machine in Woodley, rocked by defections and the branch’s suspension by the national party; thirdly, UKIP quite clearly seems to have hit the Lib Dems pretty bad; fourth, the Tories, instead of capitalising on the 2011 win, instead focused on a successful capture of neighbouring Loddon ward. And, to be fair, the campaigning bit ought to be emphasised more. Our parliamentary candidate here took the lead in recognising Bulmershe and Whitegates was winnable, though the guys in Woodley Labour (a great bunch of people, I may add) had always known it, and working together it didn’t take long to realise there were an awful lot of Labour-inclined voters who’d just been locked down by the Lib Dems for so many years, having been convinced Labour was a wasted vote. Joe – how would we know we’d bumped into each other? Perhaps you should wear a UKPR badge? Or better still, go to the Bricklayers’ Arms in Putney & look for a middle-aged & small bloke who goes there sometimes when he’s in the area. The closure of Putney Bridge is a bit of a nuisance (it reopens next month) but it must be far worse for people who live there than it is for me. I too was just thinking it’ll be easier for me to identify you than the reverse. It obviously helps you write here under your name. Whereas I, contrary to perhaps what people think here, was happening to read a book on James Van Fleet when I created this account, as opposed to deciding to name myself after a collection of certain vehicles. Useless fact: there are 179 Jewish people living in Reading West. I just noticed the exchange between FS and Neil at the top of this page. I think it shows FS has long since moved away from Reading, because I don’t think I would quite call Reading a commuter town. Indeed, it has actually has a net inward commuter flow. Perhaps 20 years ago, it might have more deserved that title, but the town’s rejuvenation has seen it attract considerable economic opportunities. Thanks for the update on Bulmershe 🙂 It’s hard being a dinosaur! I am curious though MOG, have you been round Reading much since your uni days? Just curious to hear how you think the place has changed. Change happens. Even when I was there in 72-75 the brewery was planning its move and Huntley & Palmer were struggling. The footballers left Elm Park in the 90s I think. I was up there quite often between 1994 and 2004 when I was a pension fund trustee; we used to meet in an office near Friar Street four times a year. The town centre didn’t seem to have changed a great deal at that time, though I saw little of the suburbs or the demographics. I was hugely saddened though by the closure of St Andrews Hall (my hall of residence, where I have so many happy memories), and the London Road site. I haven’t been there for a decade, though, so no idea what it’s like now. I went a couple of weeks ago for a family barmitzvah in the synagogue. That’s in Reading West. I often go through the rural part of that constituency (incl. Pangbourne & Tidmarsh) to get to my favourite pub which is in the Newbury constituency but am not very often in this seat.